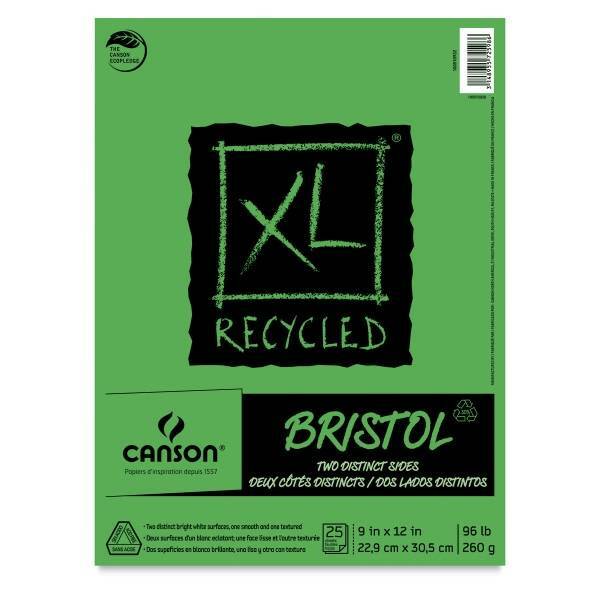 The only recycled bristol on the market, these pads are designed to appeal to students, with superior construction and heavier weight covers. Designed to appeal to students, Canson XL recycled pads combine quality, performance, and value with a concern for the environment. Featuring superior construction and heavier-weight cover materials than other value lines, they're manufactured using environmentally friendly methods. This dual sided bristol (Vellum on front, Smooth on back) was developed in conjunction with Art professors. Recycled using 30% post consumer materials. 96 lb (260 gsm) weight.